Originally published in 1986. Both moral philosophers and philosophical psychologists need to answer the question ‘what is a virtue?’ and the best answer so far give is that of Aristotle. This book is a rigorous exposition of that answer. 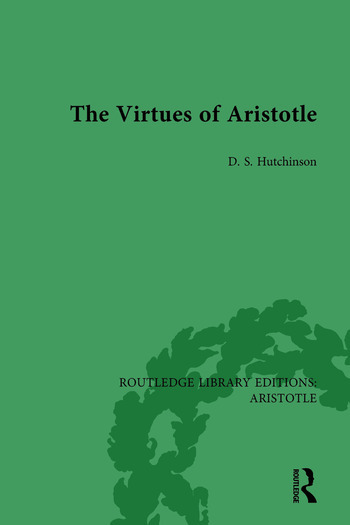 The elements of Aristotle’s doctrine of virtue are scattered throughout his writings; this book reconstructs his complex and comprehensive doctrine in one place. It also covers Aristotle’s views about choice, character, emotions and the role of pleasure and pain in virtue. The celebrated function (ergon) is considered carefully as well as the doctrine of virtue being related to Aristotle’s metaphysics and categories. Douglas Hutchinson is a Professor in the Department of Philosophy at the University of Toronto, Canada.